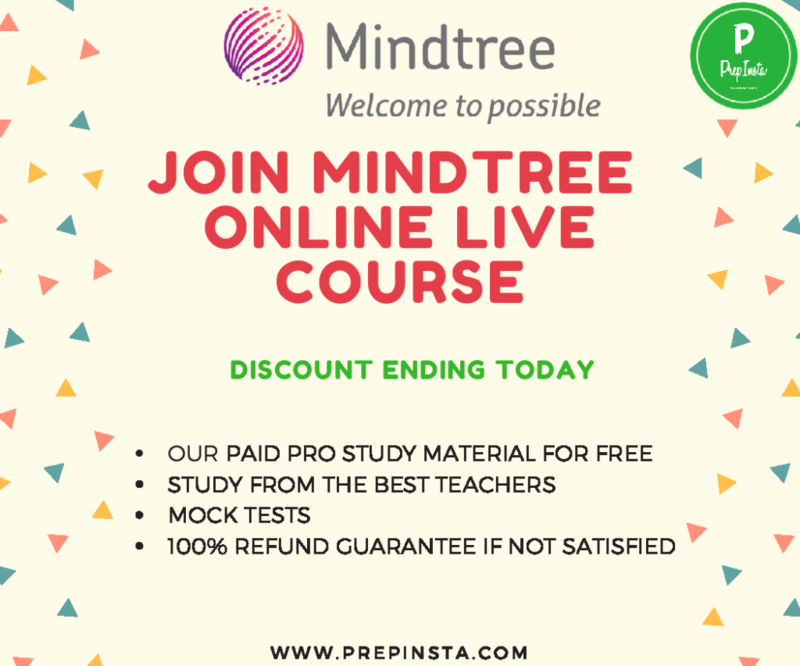 Are you looking to Prepare for Mindtree Placement Test? 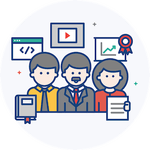 On our PrepInsta Mindtree Preparation Dashboard you will find everything that you need to know to prepare for Mindtree and will find all the practice questions and study materials required for the same. Note: There is no Negative Marking In the MindTree Written Test. If you have any types of Doubts/Queries please comment in the comment section below and we will reply and help you out. Sectional Cut off – Yes. Around 60-70% of the questions come from the topics that we have mentioned above. WHAT IS THE MINDTREE SELECETION PROCESS? WHAT IS THE ACADEMIC CRITERION TO APPLY FOR MINDTREE? Student must be a B.Tech, BCA, MCA, BE Graduate. Student should NOT have more than 1 year of academic gap. WHAT IS THE DIFFICULTY LEVEL OF THE MINDTREE WRITTEN TEST? The difficulty level of the overall exam is moderate to difficult level. To go to the next round, the student needs to clear the Written Test conducted by AMCAT with good percentile. hall. WHAT KIND OF CONDING ROUND THEY HAVE? In this round , Students had to code 2 problems, in an hour. The programs they ask are basic and like the most asked questions for their other placement drives. WHAT KIND OF THE TECHNICAL QUESTIONS ARE ASKED IN MINDTREE? What is inheritance ? Does java support multiple inheritance? why and why not? What is outer join? Real time example, venn diagram? What do you mean by scope of a variable?